Speed is the physical quantity for measuring the motion of a body with respect to a reference. It is defined as, the distance covered in a given amount of time. For example, a car is traveling 50 km in an hour, then its speed would be 50 Km/h. Speed is a scalar quantity, means it doesn’t need a direction for its representation. Velocity is a little different than the speed. Velocity is a vector quantity, means it requires direction in which the body is moving along with the magnitude. 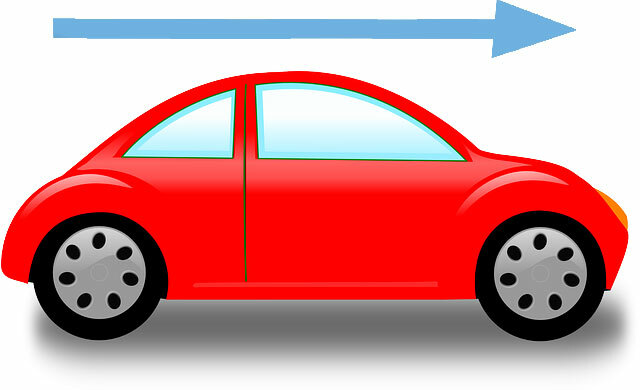 For example, a car is moving with a speed of 30 km/h in the north direction. Here you are given the direction (north) along with the magnitude which is 30 Km/h. You can say that the speed is the magnitude of the velocity. How are speed and velocity measured? The magnitude of both speed and velocity is calculated in the same. But, velocity should also have a direction to properly define it. Example: A car is moving towards west. It has covered 150 kilometers in 3 hours. Calculate its velocity. When the velocity is measured at any particular time, it is called instantaneous velocity. A car’s speedometer always shows instantaneous velocity. Instantaneous velocity tells us the current speed of an object. Average velocity is defined as, the total distance traveled by an object (e.g. a car) divided by the elapsed time. For example, a car is traveling towards the north has covered a distance of 50 km in two hours. Then, its average velocity during the 50 km route will be V = 50/2 = 25 km/h. It doesn’t mean that the car was traveling all the time with the velocity of 50 km/h. Because there may be need of braking and accelerate the car, so the car may have traveled with different speed. Light has the fastest possible speed. It’s speed is 299,792,458 meters/second or ‎186,000 miles/second. Escape velocity is the velocity, which when an object achieves can escape the gravitational pull of the planets. If you through an object towards the sky with a velocity of 11.2 kilometers/seconds, it will escape the gravitational pull of the Earth, and will never come back. When two objects with different weights are dropped from a height, both objects will hit the ground at the same time with same speed. It was proved by Galileo Galilei. Abdul Wahab, "Speed and Velocity," in Science4Fun, April 13, 2019, http://science4fun.info/speed-and-velocity/.